It is a good sign for our environment when you drive down country roads and see the clean laundry hanging outside, blowing in the wind on clotheslines. Although convenient, the clothes dryer does not help our environment and is an expensive energy hog. 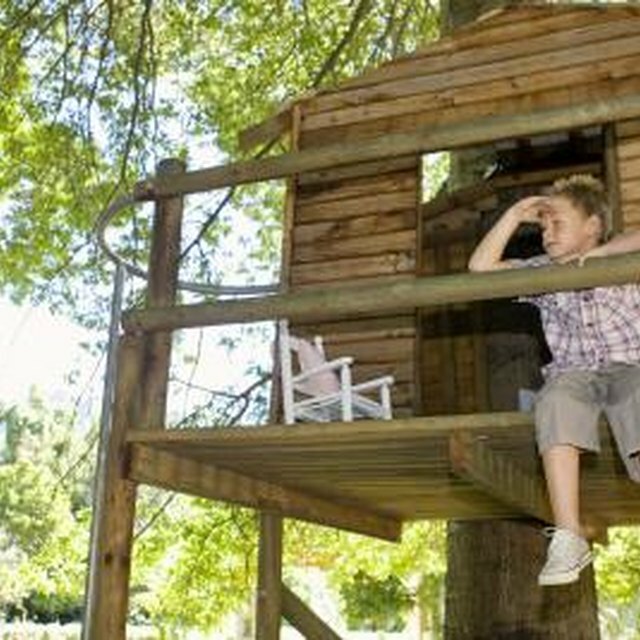 Installing your own outdoor clothesline will save you a chunk of change every month and will give you a chance to get outdoors a little more. Screw simple wood hooks into two trees spaced far enough apart to hold a fair amount of laundry. Tie the rope onto either end extra tight. It will loosen after you add the weight of wet clothes. Only do this under high tree or your laundry may have tree droppings on it. 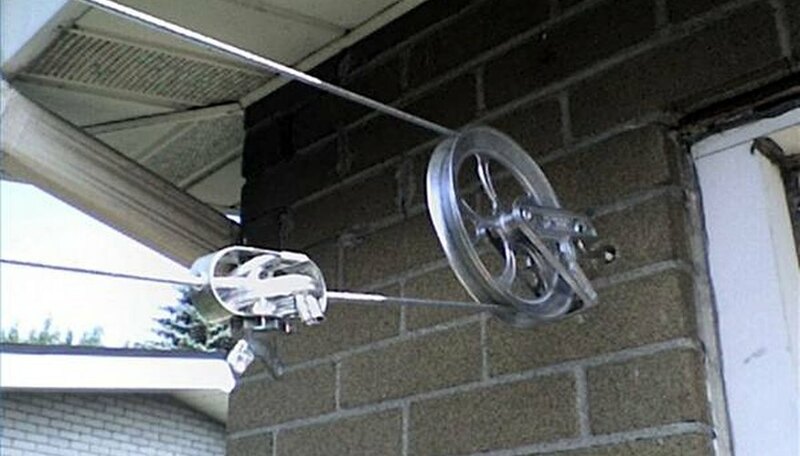 Attach a pulley on a building or pole or tree high up away from your back door or porch. Put another pulley at the back door or porch. Install a long loop of rope to go around both pulleys and then a tight knot to hold them together. Now you can stand at your back door and hang up the laundry on one side and pull the other side to push it out to the opposite pulley. Install two 7 foot t-supports, each concreted at least 2 feet into the ground about 15 to 20 feet apart from each other. Screw several hooks on either t-section and string laundry lines across. 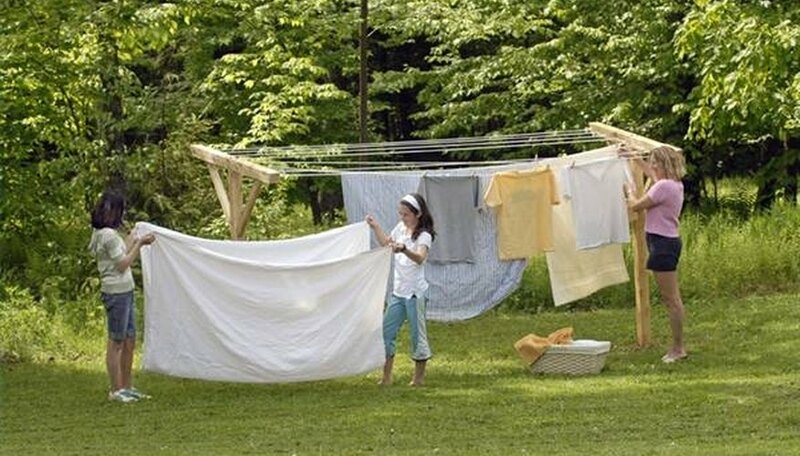 This is a good way to keep laundry out of sight by placing the lines in sunny side yard. 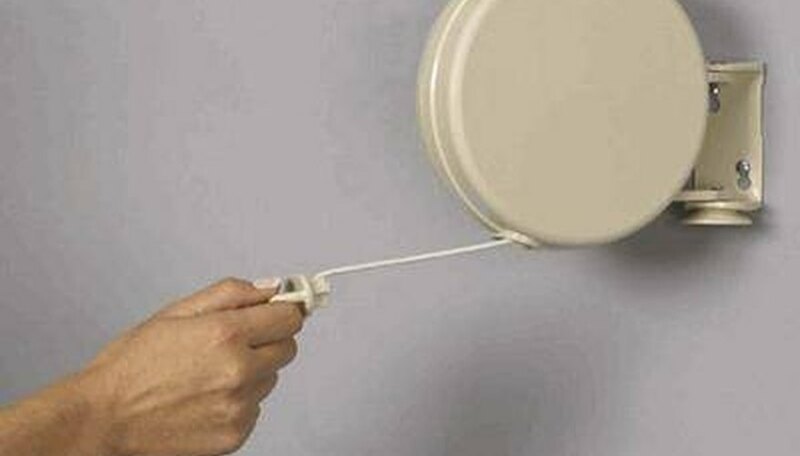 Mount a retractable clothesline assembly by your back door or porch. Extend the line to another hook and attach. Hang out your clothes when desired and then retract the line to be out of sight when the clothes have dried. 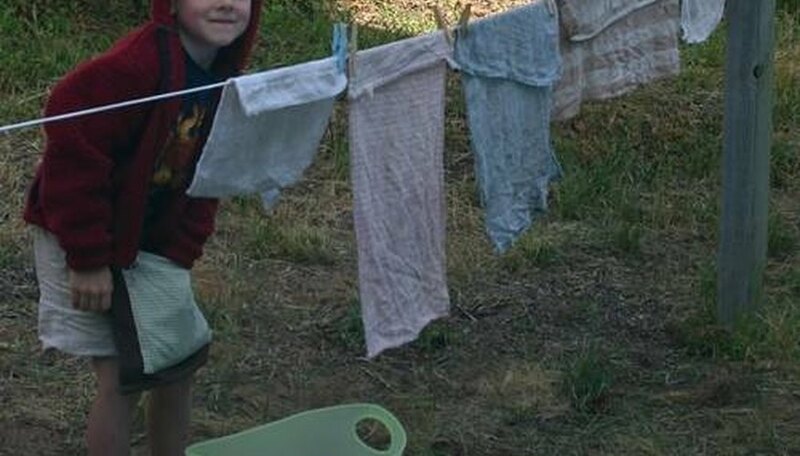 Design your clothesline for children by adding a lower level of line with any of these methods. That way, the children can help with the putting out and the taking in of the laundry. Buy plenty of clothespins for hanging out the clothes.